To have the BPM server push events to BAM – Business Activity Monitoring – we have to configure the BPM suite to use the BAM Adapter. 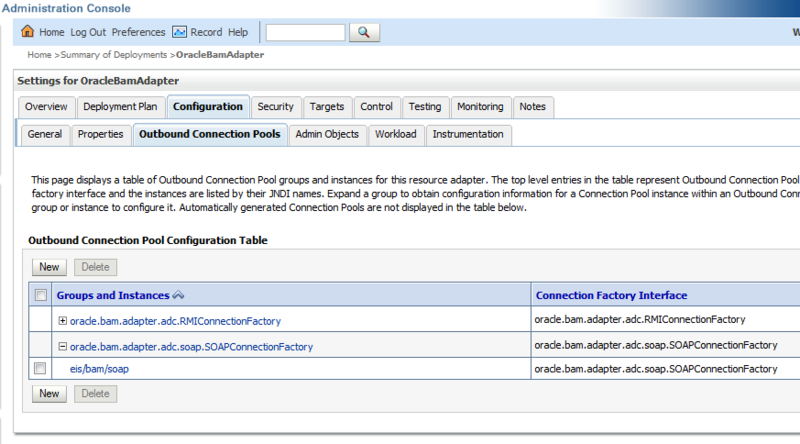 The BAM Adapter is configured (like other SOA Suite and BPM Adapters) in the WebLogic Server Console. 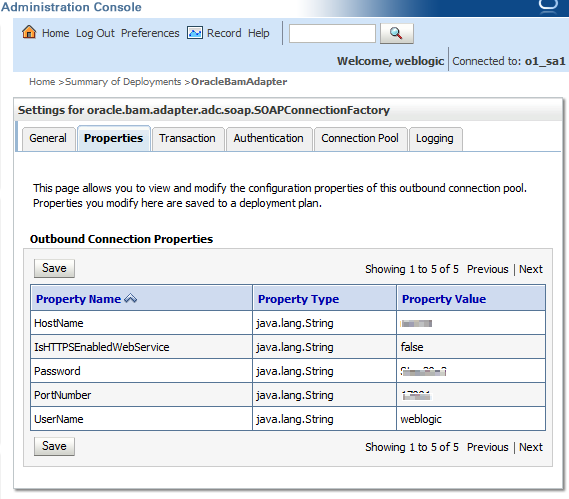 In the WLS Console, locate the Domain structure and select Deployments. 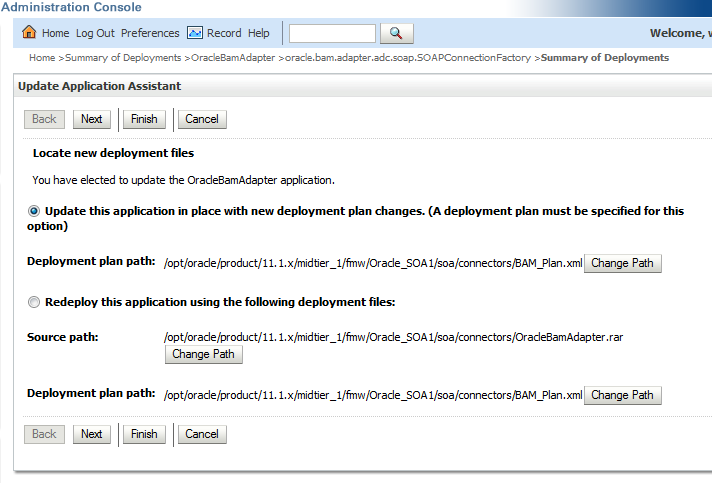 Choose the option Update this application in place with the new deployment plan changes and click Finish. This entry was posted in BPM, Oracle, SOA Suite, WLS and tagged 11g, Adapter, BAM, BPM, SOA Suite, WLS on 2012/10/09 by PeterPaul. 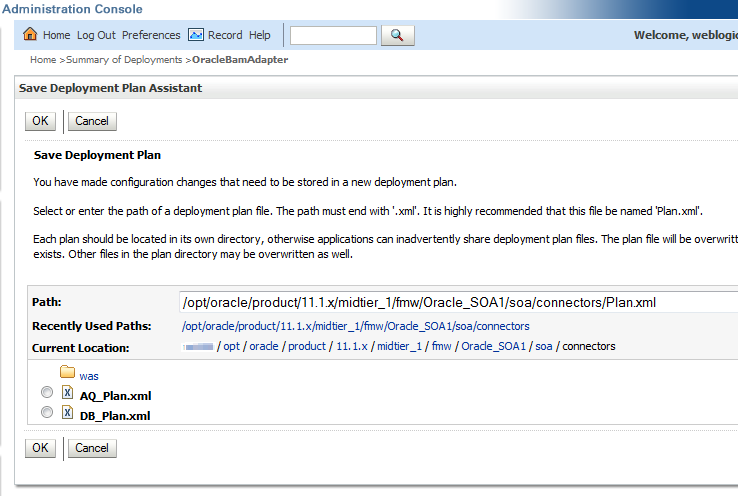 Sharing some things we learned while working with SOA Suite 10g database adapters. Restrict the number of rows that will be returned by the query that is used in the database adapter. If you do not restrict the number of rows that is returned that could lead to high CPU and memory usage and time outs due to extreme processing time. These conditions can appear when a query results in severla thousand of rows returned. In case you forgot… if the audit level of the BPEL domain is still on Development level change it to the production level. For links to File and FTP adapter stuff. This entry was posted in BPEL, Database, JDeveloper, Oracle and tagged Adapter, BPEL, Database, SOA Suite, TopLink on 2012/02/14 by PeterPaul.